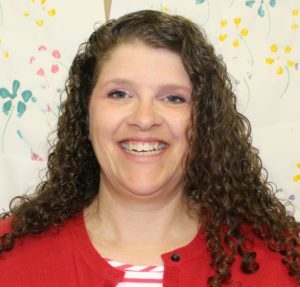 Karen McClure-Richard has been the Director and Certified B-5 Special Educator with the Early Learning Center since 2006. Karen previously worked as a Head Start teacher and Center Supervisor in Gardiner, ME. Karen received her undergraduate degree in Early Childhood Education from The University of Maine at Farmington and her graduate degree in Early Intervention/Special Education from The University of Maine at Orono. Karen is also a School Based Behavioral Health Professional and Certified Safety Care Trainer. Karen believes in a developmentally appropriate, play based, trauma informed approach to working with young children and their families and uses these beliefs to create meaningful curriculum and learning experiences for all children in partnership with a dedicated team of early care and education staff ant The Early Learning Center.